So let’s look at the ‘why’ question first on the market downturn issue. The market hasn’t collapsed as such; it is still there, but it is the case that the investors and business owners will have shifted priorities. Each year there will be times like that. Top agents and brokers will always turn more deeply into their database when market conditions change. Some of these things can be resolved through personal focus and action. Don’t wait for the property market to come to you; go out and find the properties and the people. They will be there waiting for help and assistance; you can see that and find them when you dig into local issues and property challenges. Talk to more people; ask questions and create deeper property relevance personally as an industry expert. Territory defined – decide exactly where your new listings and business should be coming from. Split your property territory up into primary and secondary zones. Property type defined – choose the property type that you know something about and are comfortable with from a pitch and presentation perspective. Signboard count – understand your signboard count for the location. Don’t take into account ‘open’ listings. Count your ‘exclusive’ listing boards. The number is likely to be low and ‘scary’ at first, but take it for what it is, and decide to improve it through particular actions. Then start taking that action. Internet advertising count – check your presence and relevance on the internet. 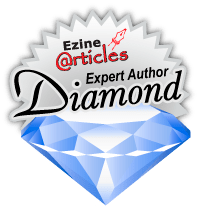 Do more with advertisements, articles, editorials, and the industry portals. Make sure that your listings are ‘vendor paid marketing funded’. Database digging – go back into your database and talk to the people that you have connected with previously. Understand what they are thinking and doing from a property perspective. Exclusivity is a requirement – every listing that you pitch for should be on the basis of exclusivity. Walk away from those ‘open’ listings that are offered to you. 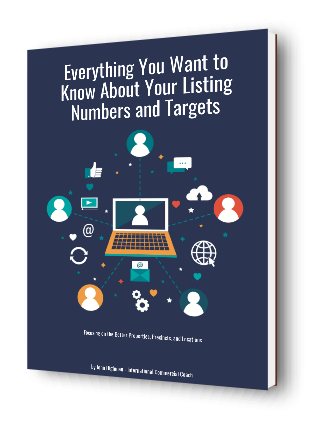 You should not have the time or the resources to devote to ‘open listings’. Presentation or pitch – refine your presentation or pitch so you are saying better things and marketing your properties more effectively. Don’t be ordinary in your marketing and presentation processes. The clients that you serve want the best agent with the best coverage. Is that you? Marketing methods really matter in your listing pitch. Stories of success – talk about your other listings and have some stories of success that you can talk to. Every successful sale or lease is a case study or story for sharing. Do that comprehensively. Client revisiting – go back to the clients that you have serviced previously. Find out what they are thinking and doing with their investments and businesses. Ask the questions and track the answers. Talk to more people – each day you can and should have at least 5 new client or prospect conversations. Find those new people and talk to them about property activity. Research the streets and the buildings to find the right people to connect with. Use some stories of significance for the location. This checklist for listing resolve will help you significantly in finding the new properties and the better clients to serve in commercial real estate brokerage. That is how you can and should resolve a listings slump.